Maria Sharapova has been granted a wild-card invitation for the US Open’s main draw. According to AP, Sharapova is among the eight women who have been made part of the 128-player field for the Grand Slam by the US Tennis Association. This will the Russian’s first Grand Slam in over a year with her last appearance coming at the Australian Open in 2016. In the intervening months, Sharapova tested positive for newly banned drug meldonium which led to imposition of a 15-month ban. 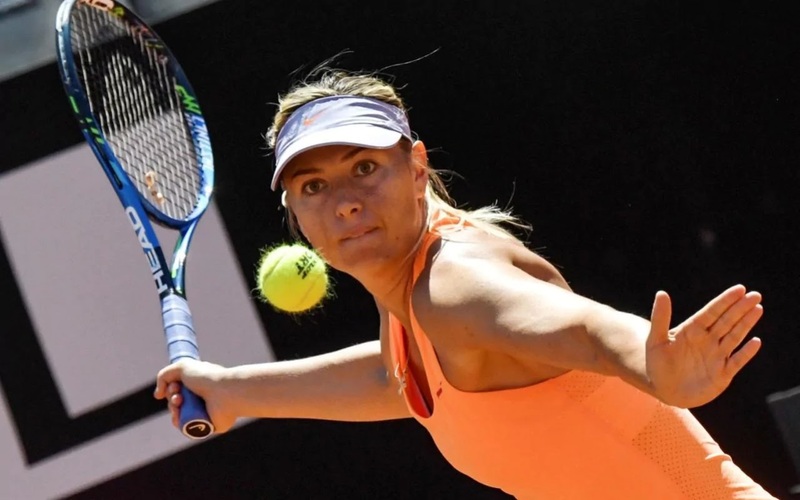 Sharapova stated that the she had been unaware of the status of the substance. The ban expired in April and since then she has been offered wildcards to play in a few tournaments on the WTA Tour. However, Sharapova was refused a wildcard at the French Open and she confirmed she will miss Wimbledon later in the year due to injury. Her preparations for the US Open have also been hampered by an arm injury. It forced her to withdraw from the the Rogers Cup and the ongoing Cincinnati Open as a precautionary measure before the final grand slam of the year. Other wild card entrants for the tournament include Americans Taylor Townsend, Kayla Day, Sofia Kenin, Ashley Kratzer, Brienne Minor and France’s Amandine Hesse. Sharapova has won five Grand Slam titles which include two at the French Open and one each at Wimbledon, US Open and Australian Open. She has been ranked no. 1 on the WTA rankings on five separate occasions.